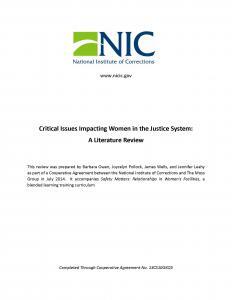 “In the following, we review the literature relevant to the study of violence and safety in women’s prison. We begin with the demographic and background characteristics of female offenders. The pathways model is then described, which emphasizes the life experiences of women that contribute to criminal behavior. This review will then describe the subcultural elements of women’s prisons that influence vulnerabilities, victimization, and violence. The types and prevalence of violence in women’s prisons, particularly sexual assault, are also summarized. 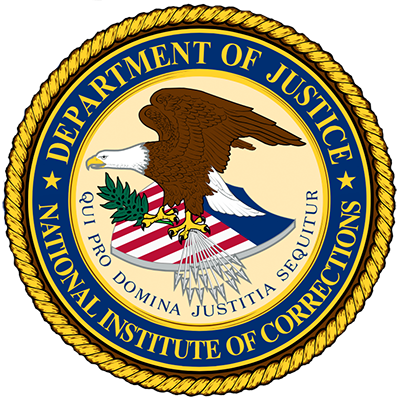 A summary of the National Inmate Survey, a PREA-mandated data collection that measures inmate self-reports is provided. This review then provides a summary of recent research by the authors that examines the context of gendered violence and safety in women’s correctional facilities and results from a project that sought to validate an instrument intended to measure women’s perceptions of safety and violence” (p. 1).